Improve your smile with Invisalign! Invisalign is a great way to straighten teeth that have shifted over time without braces. While straight teeth are often considered to be more aesthetically pleasing, there are also a number of health benefits to having properly aligned teeth. 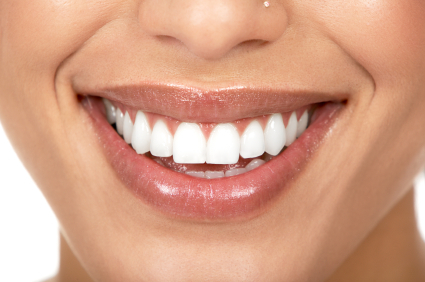 According to information from the American Dental Association, having straight teeth not only leads to a more confident smile but can drastically improve your dental health. Invisalign not only gives you a beautiful smile, but reduces your risk for tooth decay, gum disease, and other oral conditions. No matter what age you are, crooked teeth can cause insecurity. People notice your smile first, and you want to make a dazzling initial impression. When you start thinking about orthodontia, you’ll have some options to weigh. While traditional braces were once the go-to option, Invisalign is quickly becoming the popular option. If you’re thinking about investing in some smile-straightening magic, consider the benefits of Invisalign. You’ve heard the woeful tales of braces-wearing teens. Braces force you to give up some of your favorite treats for fear that food will get stuck in the wires. With Invisalign, you can literally eat whatever you want. If someone brings caramels into the office, you simply have to pop out your trays, and you are ready to snack. 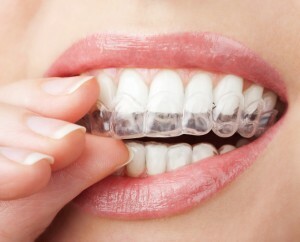 While braces are often less expensive than Invisalign, they generally take longer to straighten than Invisalign does. You’ll have a mouth full of brackets and wires for an average of two years, and with Invisalign, you may only need six months of correction. Of course, prices and timelines vary depending on the patient. 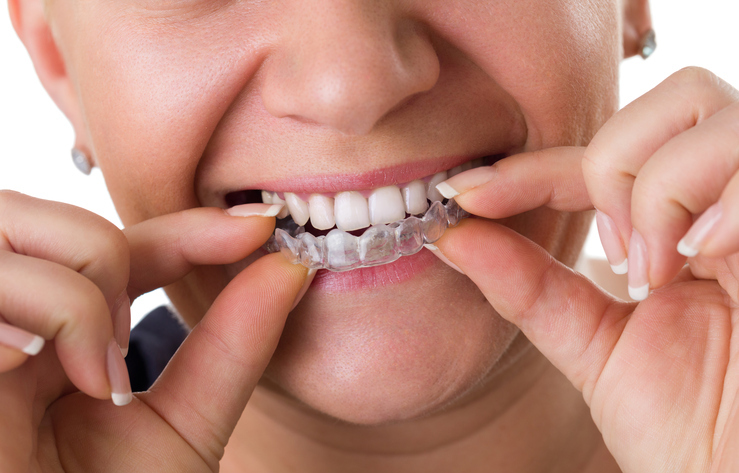 Invisalign candidates often have a much easier time keeping their teeth and their trays clean. Traditional braces can be quite tough to work around when you’re brushing, and they require a good deal of cleaning. With Invisalign, you can take your trays out, clean them, and care for your teeth very simply. Both braces and Invisalign can cause some minor aches and pains, but this pain is generally much less of an issue with Invisalign. 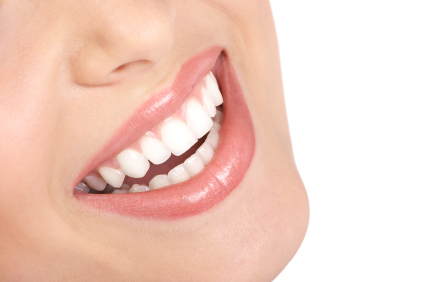 You will have the discomfort of moving teeth when you get new trays, but it is easily managed. You won’t have to deal with metal poking your mouth or your lip getting caught on your brackets. Of course, one of the most obvious benefits of Invisalign, is that you can smile with confidence while your trays are busy straightening your smile. Braces aren’t the prettiest addition, but with Invisalign, you’ll barely be able to even see them.